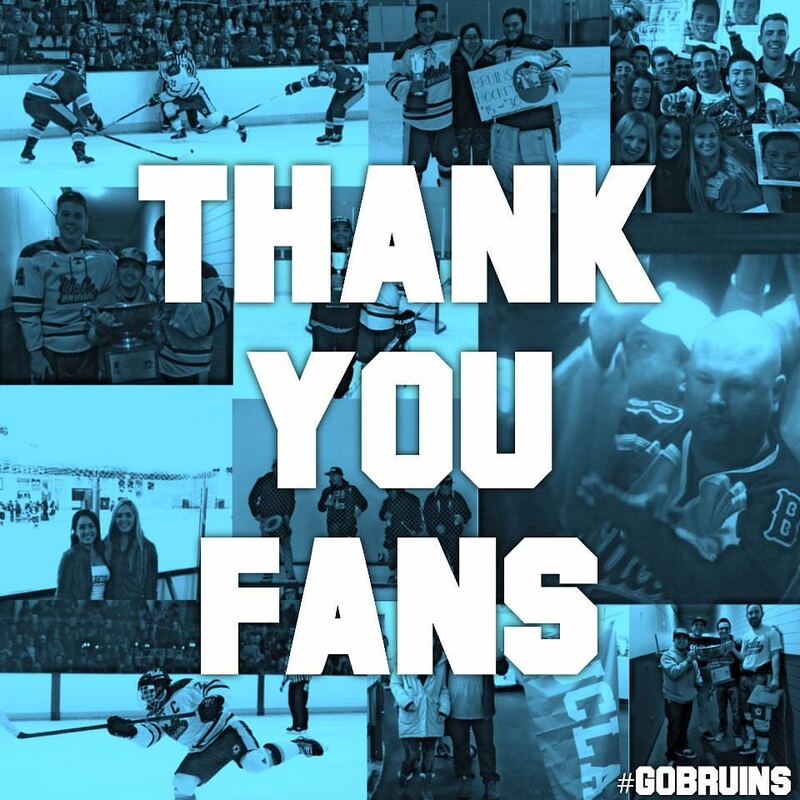 Our crowdfunding campaign has ended, but you can still support UCLA Hockey by clicking here. 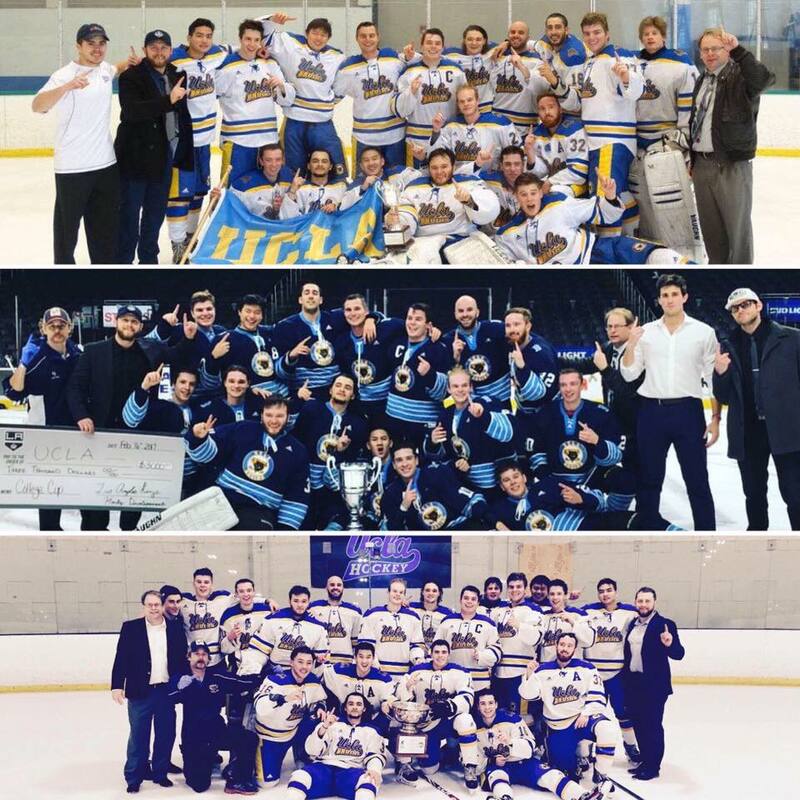 Founded in 1926, UCLA Ice Hockey is one of the oldest clubs on campus. Almost entirely player funded, the team competes with the other teams in the PAC-8 Conference every year. Not many people know about our team, but the players are dedicated and our reach is growing. Last year, our amazing donors enabled us to smoothly transition over to Pickwick Ice in Burbank, and the ensuing PAC-8, Kings Cup, and Crosstown Cup Championships would not have been possible without the support. This year, we need your help in order to build on our previous successes. UCLA recently transitioned its apparel sponsorship from Adidas to Under Armour. It was the largest collegiate sponsorship deal ever. This meant that the club sports needed to make this transition as well. For the hockey team, we now need to purchase two (home and away) all new sets of jerseys, socks, pant shells, warm up jackets, shirts, and shorts. Our team is almost entirely student funded which means it would be a challenge to successfully transition to Under Armour... If it wasn't for our amazing fans! We need your help in order to update all of our equipment in order to comply with the school's new licensing deal. 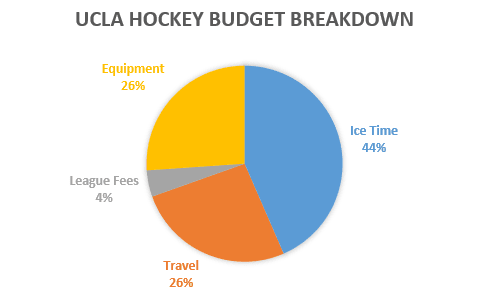 As you can tell from the graphic below, equipment represents over a quarter of our $50k annual budget so increasing those costs would directly take away from ice time. We can't thank our generous fans enough for their contributions to our program and we hope you can come see your hard work in action at our games in the fall! Donate $8 to receive a virtual eight-clap from the team! Donate $50 to so we can buy a brand new Under Armour warm up shirt and shorts for one of our players. In return, we'll send you a personalized thank you email from one of our players! Donate $100 so we can buy a brand new set of Under Armour socks, shells, and equipment bag for a player. In return, we'll personally thank you on our UCLA Hockey Facebook page to let everyone know how much we appreciate your donation! Donate $500 so we can cover the cost of ice time for an entire practice for the team! In return, you'll gain priority seating to one of our home games next season where you will be honored over the loudspeaker in between periods!